What Security Measures are you Taking in 2019? Fastest Bullet Proof Car in the World: Introducing the Tesla Model S P100D completed by Armormax. The Tesla Model S P100D base vehicle is currently the fastest production sedan in the world – traveling from 0 – 60 mph in 2.4 seconds. Armormax is the lightest and strongest synthetic fiber laminate armoring in the world – weighing 80% less than traditional steel. This incredible vehicle provides protection from high powered rifles, as well as handguns. With only 550 lbs of added armor to the armored Tesla, the decrease in performance and range is negligible. This Armormax armored Tesla maintains its original appearance and functions. 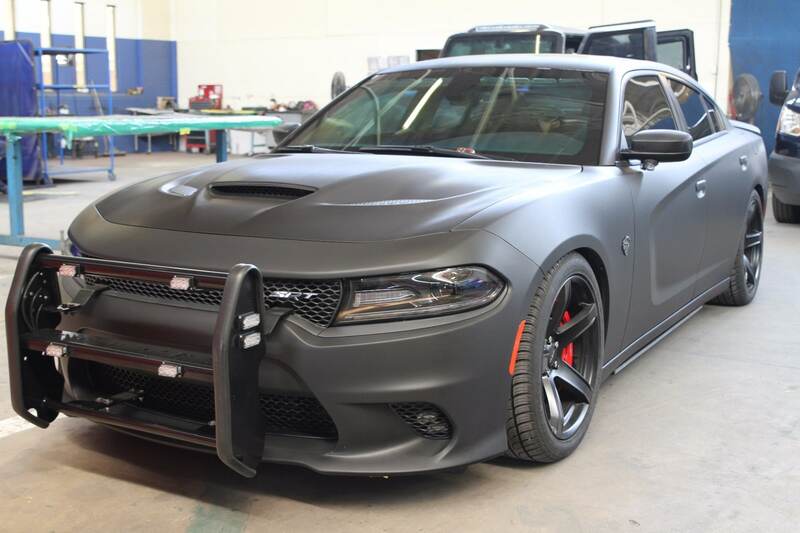 World’s First Bullet Proof Dodge Charger SRT Hellcat: One of Armormax’s most prized armored cars in 2018, the customer provided vehicle came equipped with one of the strongest v8 engines on the market, boasting 6.4 liters and 714 horsepower. Some enhancements included on this custom vehicle include; run flat tires, electrified door handles, blinding lights, operable windows, tack dispenser, gas masks, bomb blast security upgrade, strobe lights, ram bumpers, siren intercom system, and an astonishing smoke screen cloak option. Premiere Armored Trenchers Shipping Worldwide: Towards the conclusion of 2018, Armormax armored the world’s first Vermeer Trenchers using Armormax® materials. 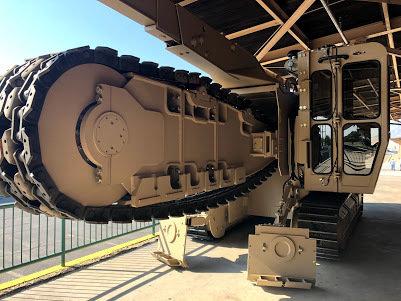 These Vermeer Trenchers came to us needing customized armoring for their drivers while in certain regions of the world where unrest and attacks are more likely to occur. Our company designed, manufactured, and installed the components in-house to help keep the original look and feel while adding protection against high-powered rifles (such as a .308, AK-47 or 7.62 rounds). Not only is Armormax considering safety when it comes to vehicles, but is now providing ways for all citizens to take safety precautions in their daily lives. Armormax Introduced Their First Portable B6 Bullet Proof Panel: From the worldwide leader in lightweight bulletproof commercial vehicles comes the Armormax Bulletproof Insert. These panel inserts are capable of stopping and AR-15 and weigh a fraction of the weight of ballistic steel. The B6 panels are also offered as a backpack insert option, that can be used in any situation being able to switch from any bag big enough to fit them. Easy to remove like a standard textbook while only adding a few pounds. This same material has been used in thousands of armored vehicles and shields around the world, even including several vehicles for heads of state in over 40 countries. Finally, in the review, Armormax has created numerous relationships around the world in order to help create and generate new ideas and concepts to help provide for a safer world. Military Edition Armored Rezvani Tank: If you want something rugged and relatively affordable, buy a Jeep. 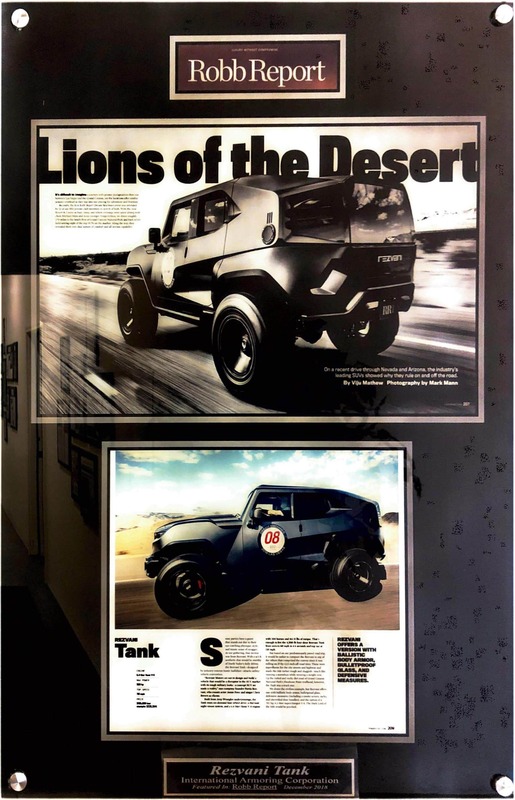 If you want something that can take on bullets and bombs as well as trails, and comes powered by an optional 707-horsepower (527-kilowatt) Hellcat V8, California-based Rezvani Motors has a new version of its Tank SUV. This bulletproof Rezvani Tank Military Edition includes amazement of upgrades such as; B6+ rated glass and armor, thermal night vision, a firewall, reinforced suspension, a smoke screen, and even vaunts bomb protection that comes standard with this trim. As we close out 2018 we reflect on the lives our products have touched and look forward to developing and working on new projects in 2019. We want to create things that are loved by all and can be trusted in a time of need. Later we will be releasing our 2019 goals and opportunities in new markets as we continue to create technologies that protect individuals who have threats against them and their families. If you are interested in working with us in 2019 please email or call +1-801-393-1075.